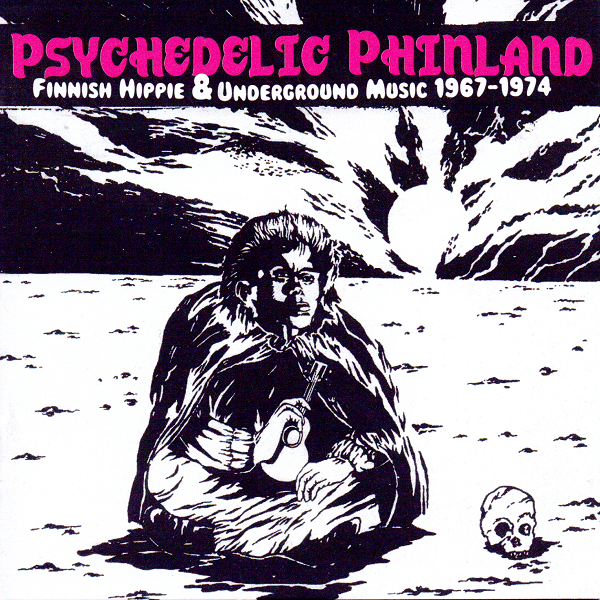 This archival collection presents the music of 24 Finnish bands, most unknown to Western ears. Disc One contains 19 psychedelic/progressive rock songs and Disc Two contains ten experimental/avant garde tunes, several in the 10+ minute range. Some of these tracks have been reissued in the past, for instance The Baby Grandmothers (reviewed in Issue #35). Like most compilations, Disc One is a bit uneven. It starts with a freaky psychedelic song followed by some 60s folk rock songs. Then there is this song by Jorma Ikävalko which the liner notes say is a parody but it sounds more like something sung at Oktoberfest. The standout songs on Disc One are “The End” by Topmost, “Cherry Cup-cake Twist” by Blues Section, “Must Be the Devil” by Wigwam, “Being Is More Than Life” by The Baby Grandmothers, “Olen erilainen” by Pekka Streng, “Zeppeliini” by Juice Leskinen & Coitus Int, and “Meiran Iaulu” by Hector. Disc Two’s highlights are Pekka Airaksinen’s “Fos 2,” Sähkökvartetti’s “Kaukana väijyy ystäviä” sounding like Forbidden Planet, and Those Lovely Hula Hands’ “Missä on Marilyn?” Some songs are sung in English, but most are Finnish, as would be expected. Since the master tapes were lost over time, a number of the songs have been transferred directly from cassettes or worn-out vinyl. However, the producers felt that the music’s value far outweighed the below par sound quality. Overall a quite interesting compilation that brings to light music from a country experiencing musical experimentation that went unnoticed in the West.